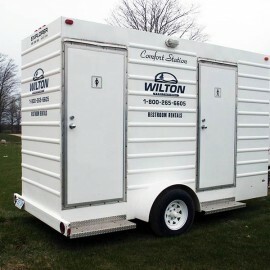 Wilton Sanitation - Weddings - Portable Toilet / Restroom Trailer Rentals for Weddings, Special Occasions, Concerts, ConstructionWilton Sanitation Inc.
Wilton Sanitation has portable restrooms to suit every event. Book now! Now Available! 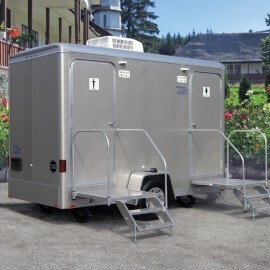 Our new air conditioned 816/814 Luxury Trailer Units are ideal for weddings. Ladies side features 2 stalls (814 unit) or 3 stalls (816 unit) with flushing water toilets, the men's side has 1 stall with flushing water toilet and 3 flushing urinals. Both feature wall recessed trash receptacles, a framed glass mirror with soffit lights, skylight, sound system and oak vanities with solid surface sink top. 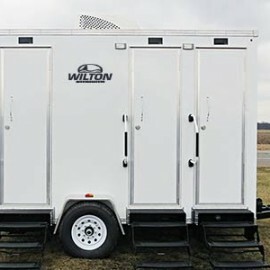 For more details and photos visit our Restrooms and Trailers pages. 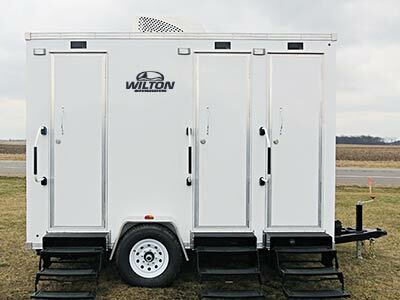 Our new Wells Cargo Comfort Elite Trailer Unit features two fully self-contained restrooms. Each station offers complete privacy. 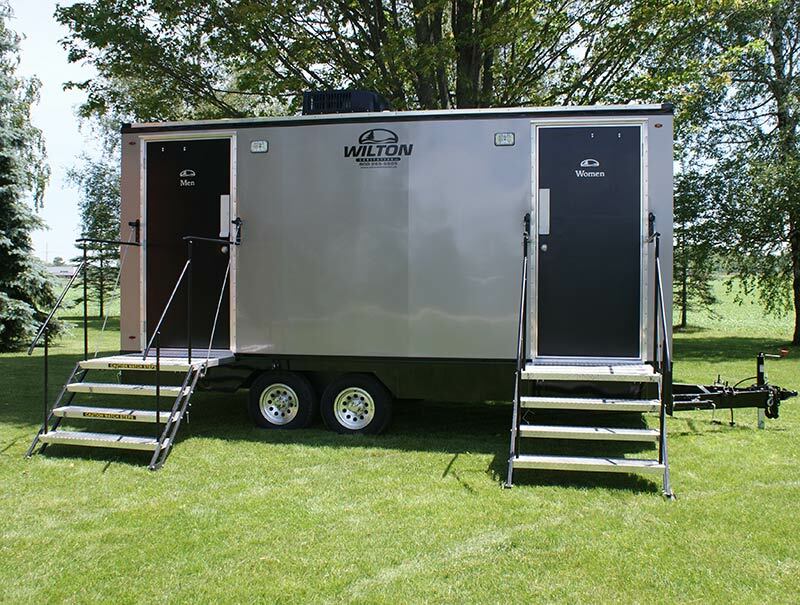 For more details and photos visit our Restrooms and Trailers pages. 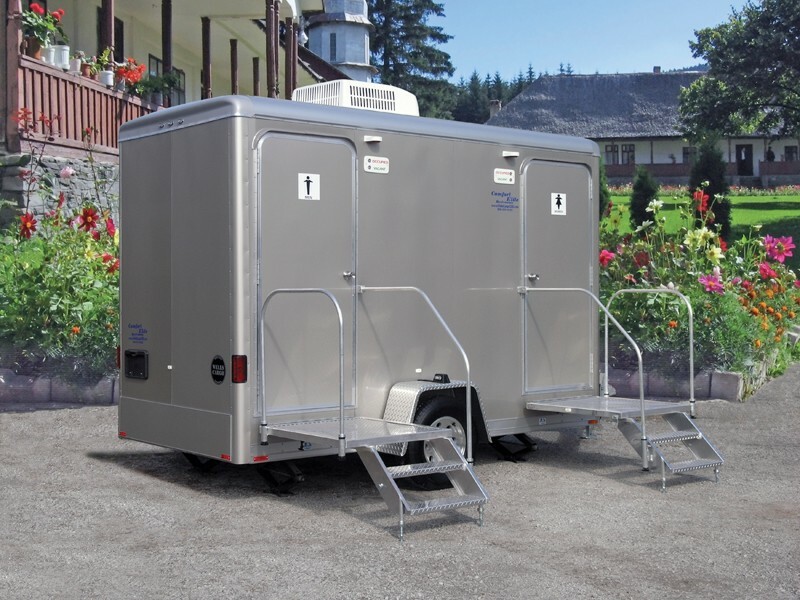 Our trailer units are ideal for special events, weddings and work sites. Each comfort station has a hand wash sink, flush toilet and a separate men's and ladies restroom. 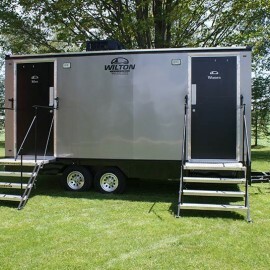 Our Signature and Deluxe models all flush and include built in sinks and are available for small and large events. 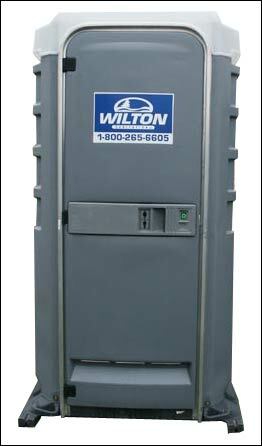 For a complete product listing please visit our Restrooms page. Hand sanitizer is included in our basic non-flush units. Separate hand wash stations are also available with 2 or 4 sink units. 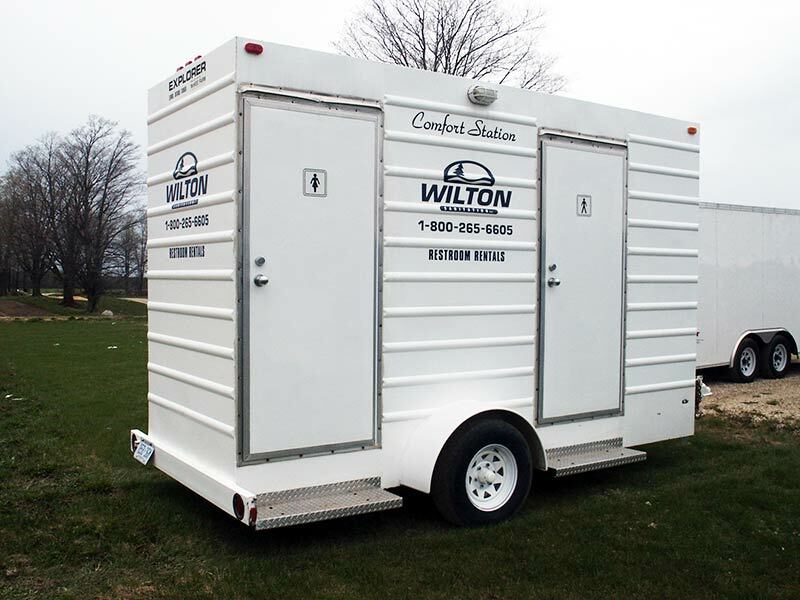 To determine how many portable restrooms you require for your event use the special events charts located on our FAQ's page.